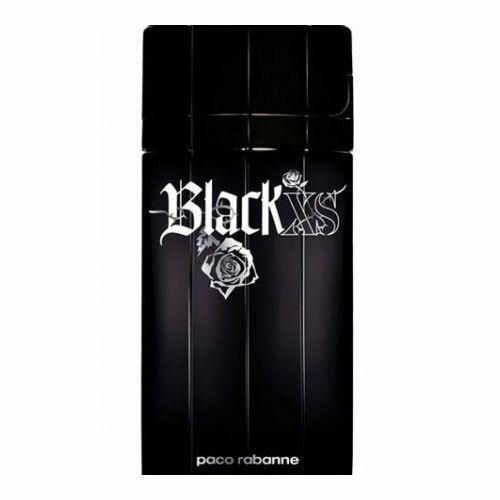 Super popular Black XS has got a female companion â€“ Black XS For Her, presented by Paco Rabanne on May 30, 2007. This modern floral-fruity composition starts sharp and spicy with cranberry, pink peppercorn and tamarind notes around the heart of hellebore noir rose, black violet and cocoa blossom. The base notes are patchouli, Massoia wood and vanilla. The perfume was created by Emilie Coppermann i Marc Buxton of Symrise. The face of the fragrance is Italian model Bianca Balti. It comes as Eau de Toilette in an interesting and appealing black and purple bottle adorned with a beautiful rose. It is accompanied with matching products. Black XS for Her was created by Emilie (Bevierre) Coppermann and Mark Buxton.